The 6th year of the “D” Drop is sure to be the best yet, with extensive growth and even more free festive fun! 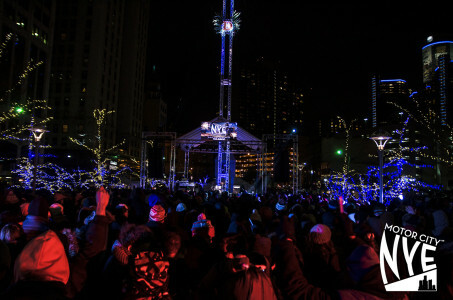 Campus Martius and Cadillac Square will be transformed into a visual spectacle including Detroit’s very own New Year’s Eve ball drop. A 7 foot glittering “D” will descend from the skies at midnight, hailing the start of the New Year. Festivities will kick off at 4pm with live entertainment on 3 stages, horse drawn carriage rides, ice skating, and fire pits. Free and family friendly, the Drop will feature a Kids’ Zone with plenty of activities for youngsters, along with their own personal Kids’ Drop at 6:30pm. Fans of MSU can celebrate NYE while keeping an eye on the Spartans, with live broadcasts of the 2015 Cotton Ball. Visit motorcitynye.com for more information on this free event! Skate & Celebrate the New Year! The 2nd annual Motor City Gala at the luxurious Atheneum Hotel in Greektown is Detroit’s most exclusive hotel party, offering guests an opportunity to safely celebrate the New Year in style. 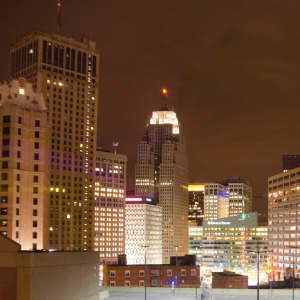 The three-story ballroom of the Atheneum Hotel is the perfect location for this sophisticated soiree, offering several premium bars and breathtaking views of the Detroit skyline from the 8th floor of the hotel. Gala attendees can take advantage of discount hotel rooms at both the Atheneum and the Marriott Hotel in the Ren Cen, with shuttles running to and from all night long. Live in the city? The Gala also offers shuttles to and from several locations downtown. Hosted by Slim from Channel 95.5, the Gala boasts specialty martini bars & a champagne reception, strolling hors d’oeuvres & carving stations, a midnight blowout featuring balloon drop & confetti storm, late night buffet, live broadcasts of the Time’s Square New Year’s celebration & the 2015 Cotton Bowl, and Detroit’s best DJ’s spinning until 4am. There are three ticket types available for this exciting New Year’s event. VIP tickets start from $165 and include a 3-course gourmet dinner with acoustic performance, and premium bar package from 8pm-1am. Party Passes start from $99 and include a premium bar package from 9pm-1am. Luxury booths and half booths are available for purchase. Inquiries into pricing and availability can be directed to 248-543-1000. 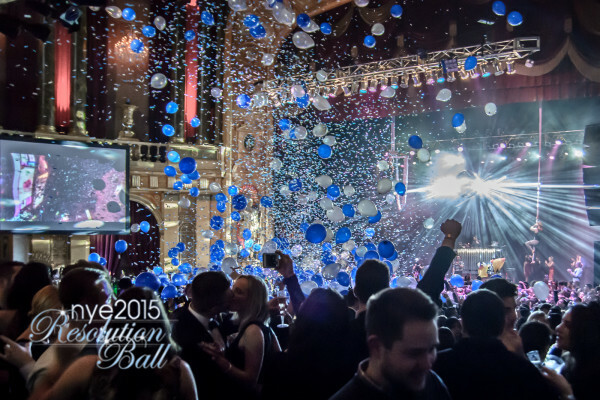 Resolution Ball has become a Detroit New Year’s Eve tradition, annually attracting over 1,800 young professionals to the historic Fillmore Theatre. For the past 13 years Resolution Ball has offered partygoers a big city style New Year’s bash at an incomparable value. 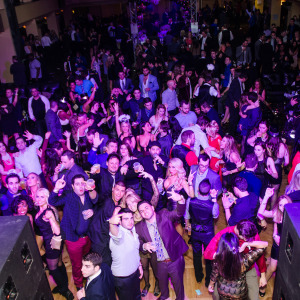 Attendees of Resolution Ball can expect to dance the night away as Detroit’s most popular DJ’s spin the year’s biggest hits. Performers from the Detroit Circus will captivate the crowd with dazzling displays of fire eating, stilt walking, juggling, acrobatics, and so much more! 6 mega screens placed throughout the venue will broadcast both the Cotton Bowl and Time Square Ball Drop in real time. VIP tickets start at $135 and include a 7 hour premium bar package consisting of 12 drink tickets, a midnight champagne reception courtesy of Korbel Champagne, exclusive mezzanine access and VIP hors d’oeuvres, complimentary coat check, and late night buffet. Party Pass tickets are available from $95 and include a 5 hour premium bar package (9 drink tickets), a midnight champagne reception courtesy of Korbel Champagne, and a late night buffet. Group discounts are available for both VIP and Party Pass tickets. The Fillmore’s opera boxes are available for Resolution Ball and include 10 VIP tickets, 3 bottles of Korbel Champagne, and a personal waitress for the evening. Inquiries into price and availability can be directed to 248-543-1000. Purchase Tickets to Resolution Ball. 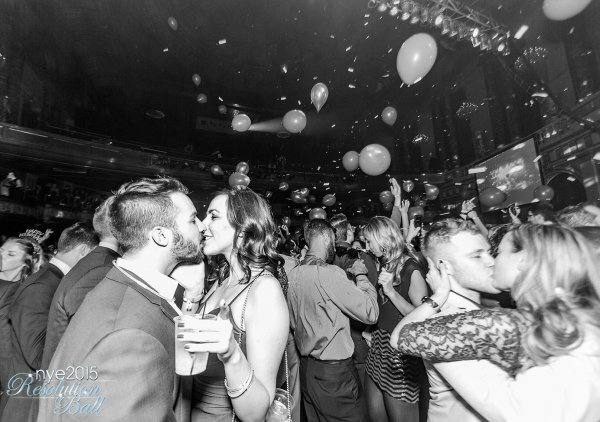 Join NYE Detroit for an exclusive New Year’s Eve experience at Detroit’s hottest restaurant! Glitz and glamour take center stage at this premier New Year’s Eve party. 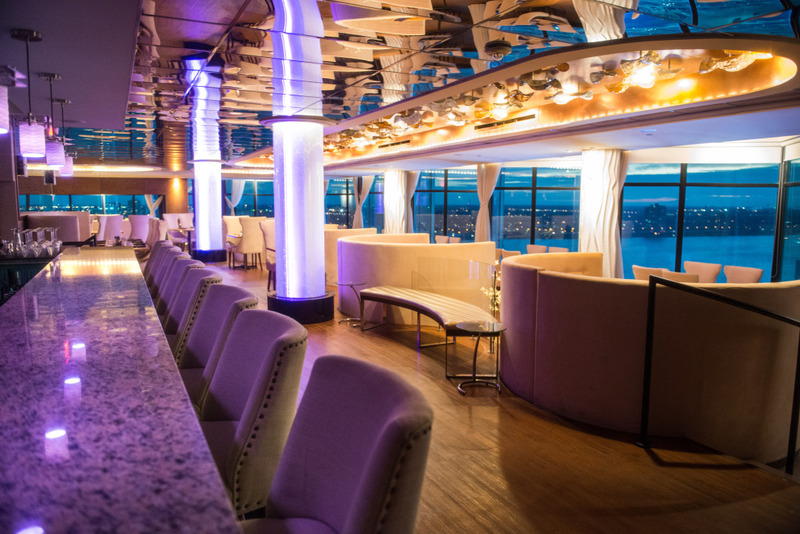 Revel in breathtaking 360° views of the Detroit River and cityscape from the 25th floor at Top of the Pontch. Savor a strolling dinner with food stations while enjoying music from Detroit’s best DJ’s, top shelf cocktails, midnight snack buffet, and a champagne toast to ring in the New Year. 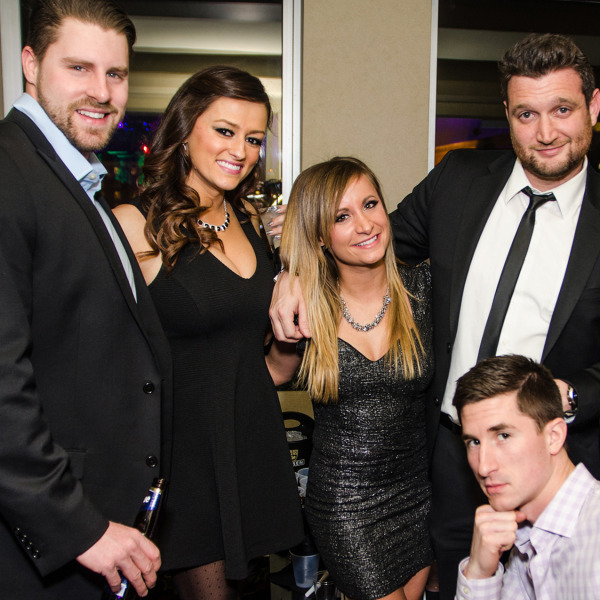 Purchase Tickets to Top of the Pontch New Year’s Eve 2016.